Generally, WordPress doesn’t allow CSS styled objects in WordPress, but in this tutorial, we will learn how to do it. We will try to add CSS style to an HTML Button easily without updating the core-codes of the WordPress, Remember that this tutorial is intended for the self-hosted WordPress. This is just an example code of how we can do some CSS customization in WordPress easily. So How to add CSS style to a button in WordPress? 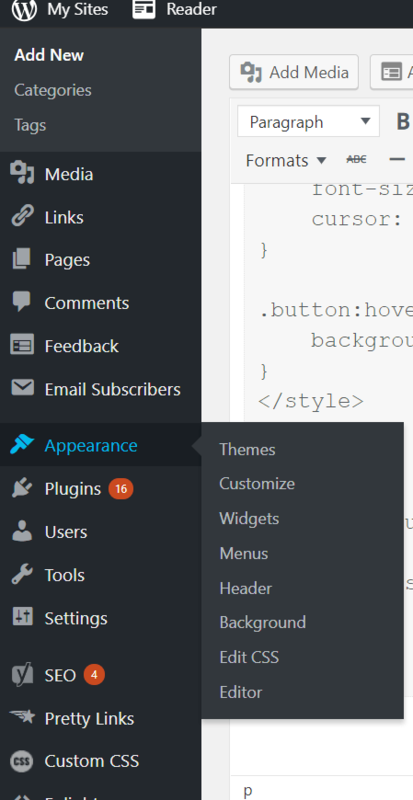 Go to your WordPress admin panel, in the menu left, select Appearance, then select Customize, and in the next menu, Choose “Additional CSS”. That’s it, Now you have a styled button, you can add link to it and customize the way you want.